Cultural resources such as buildings or artifacts are tangible remains of our heritage that remind us of important periods of history. Recognizing the need to document and preserve these ties to our past, both the federal government and the state of Texas enacted laws to protect significant historic buildings and archeological sites from damage due to construction. The topics in this portion of the Texas Historical Commission (THC) website summarize the National Historic Preservation Act (NHPA) and the Antiquities Code of Texas and describe the process by which the THC assists project sponsors in complying with these statutes. The National Historic Preservation Act of 1966, as amended, requires that federal agencies take into account the effects of their undertakings on historic properties. In addition to direct actions of the federal government, federal undertakings are projects involving a permit or license, funding, or other assistance or approval from a federal agency. 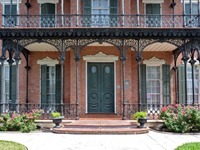 Section 106 of the NHPA and its implementing regulations at 36 CFR Part 800 lay out review procedures that ensure historic properties are considered in federal planning processes. The Antiquities Code of Texas (the Code) was enacted in 1969 to protect historic shipwrecks, archeological sites, and historic buildings on public land and waterways. The Code requires state agencies and political subdivisions of the state — including cities, counties, river authorities, municipal utility districts, and school districts — to notify the THC of ground-disturbing activity on public land. Historic preservation covenants and easements are voluntary legal agreements made between a property owner and a qualified organization to protect a significant historic property, landscape, or archeological site by restricting future development of the property. 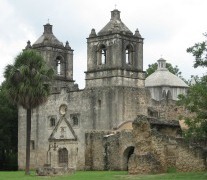 Although the NHPA and the Code are the primary laws governing cultural resource management in Texas, state law also requires the THC be notified in writing of work other than normal maintenance proposed on historic county courthouses or buildings designated as Recorded Texas Historic Landmarks. Texas laws related to cemeteries are in Chapters 711-715 of the Texas Health and Safety Code and the Texas Administrative Code, Title 13, Part 2, Chapter 22. Additionally, owners of buildings seeking federal income tax credits must consult with the THC regarding the proposed work.